Executives at BlackBerry, once a dominant player in the smartphone market, have decided to put the Canadian company up for sale, though few companies are expected to show interest. The best chance of a sale for BlackBerry may come in splitting up the company, allowing the sale of the company's valuable patent portfolio, estimated to be worth about $2 billion, according to The Wall Street Journal. 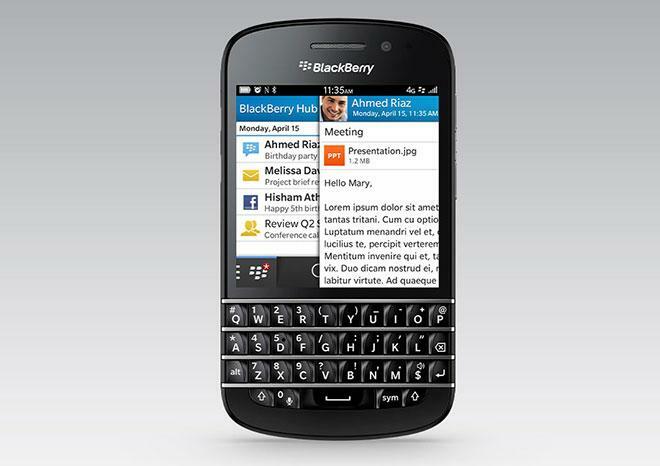 But as for outright buyers of BlackBerry as a whole, potential partners may be limited. Market watchers say it's unlikely that a private equity firm would show interest in BlackBerry. Among rivals, Microsoft is a potential buyer, but that deal would be complicated by the fact that the Windows maker already has a strong alignment with Finnish smartphone company Nokia. Prospective international buyers identified by the Journal include Samsung, HTC and Lenovo, all of which could benefit from BlackBerry's strong history in enterprise markets. But the Canadian government has also warned that it would scrutinize any potential foreign buyers of BlackBerry. BlackBerry convened a special committee on Monday to explore "strategic alternatives" for the company going forward. The company later announced it had hired J.P. Morgan Chase & Co. to explore the possibility of an outright sale, joint ventures, or strategic partnerships. But a sale is viewed as the only realistic option for BlackBerry, as the company has continued to bleed out customers in the face of market dominance by Apple's iPhone and Samsung's Android-powered smartphones. Previously, BlackBerry executives reportedly mulled taking the company private, but that doesn't seem to be a likely resolution anymore. In its last quarterly earnings report in June, BlackBerry posted a loss of $84 million on shipments of just 6.8 million smartphones, most of which were legacy devices. The company had been pinning its hopes on the new BlackBerry 10 operating system, but just 2.7 million devices running that platform were shipped in the quarter.